Atlanta hasn’t had a good time with traffic recently, with i85 bridge collapse, i20 buckling and 285 just being 285. Add in i75 and the traffic around the new Braves stadium and traffic is nearing meltdown but it seems it always is close to meltdown and manages to survive by the skin of its teeth. And all the above mentioned things have certainly pushed the traffic to the brink as well as drivers to the brink of insanity. 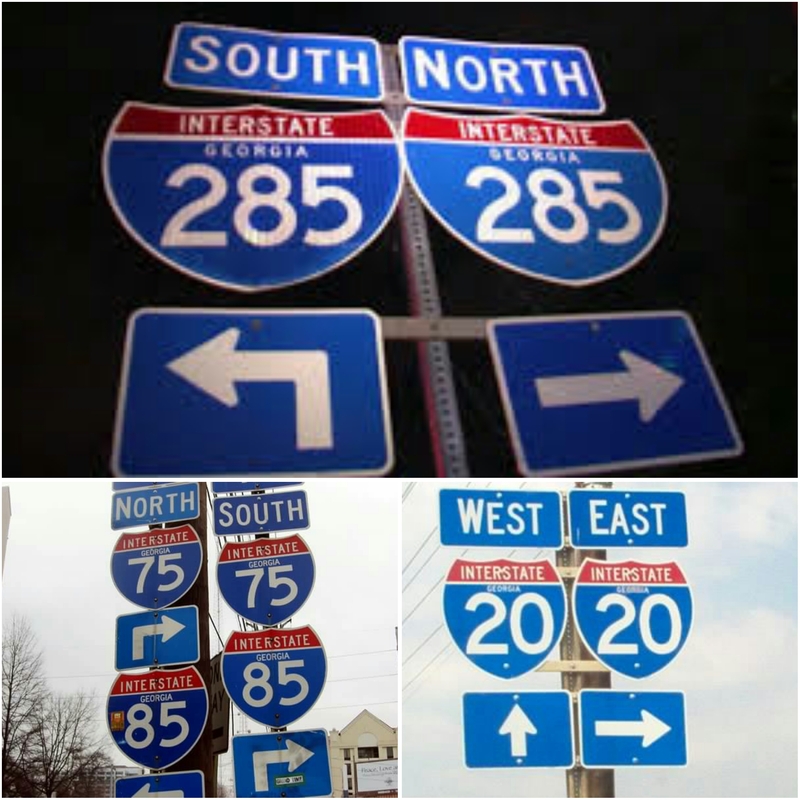 Anyway, today’s little post is all about directions and how Americans give them and how it differs to back home in Ireland. Here it’s all about the compass direction of travel, turn north on 285, follow it till 85 south etc. This is great if you have a compass, or have an idea where you are going to start of with. In fairness most cars have a built in compass or at least a direction of travel light. I remember back home getting asked where the N17 was, have absolutely no idea until the person mentioned where it headed to. After that giving directions from Dublin to a road have way across the country was easy. If you tried the Irish way of giving directions here in Atlanta it would end in absolute failure. I can imagine telling someone to go straight as far as the the big church, turn left followed by turning right at the red pub, follow the road till you reach McDonald’s, turn left and when you get to the church at the roundabout take the first exit till you get to another pub, your destination is about a mile up the road from the pub. Well for starters there are so many churches and McDonald’s here those directions would be useless. So it’s back to North and South using road designations. Have fun, be safe and don’t ever drink and drive or text and drive!